After a weekend at the Bassin d'Arcachon, I really felt like there were more things to discover on the coast of the Atlantic. So I headed further down the Southwest coast of France towards the unique Le Pays Basque (The Basque Country), a land shared between France and Spain and is an intersection of the Pyrénées mountains and the Atlantic. It’s a very culturally rich country because of the pride of its locals in their unique history, language and traditions. My first stop in the Basque Country was at the city of Saint-Jean-de-Luz. Saint-Jean-de-Luz, which is known to be as the “royal city” ever since it witnessed the marriage of non other than the King of France, Louis XIV. Accessed by a five-hour direct train ride from Paris, or a flight to the nearby airport of Biarritz, traveling to Saint-Jean-de-Luz is a voyage through nature and folklore. 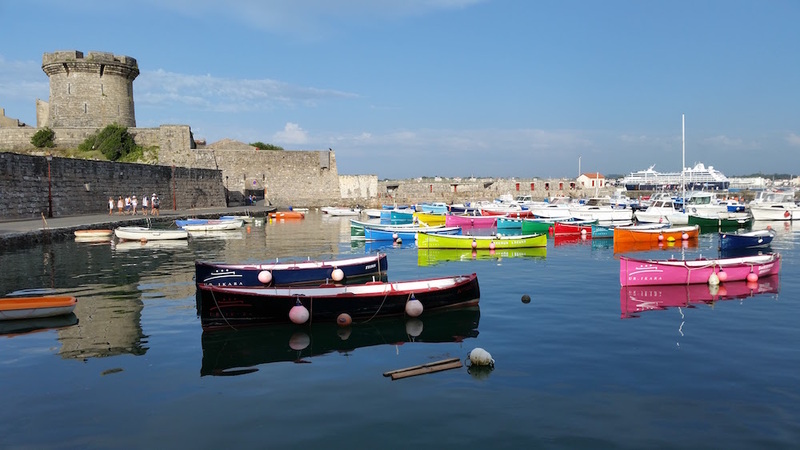 And so, as always, I tried to find out the must dos and visits at the city of Saint-Jean-de-Luz. A very beautiful (and walkable) route begins at the city center. Starting off with the Saint Jean Baptiste church, the setting for Louis XIV King of France, and Maria Theresa the Spanish infant’s marriage in 1660. A royal wedding that put an end to the war between both countries. The Saint Jean Baptiste is a church with a Latin ambience and it incorporates three stories of wooden galleries that were once reserved for men only. In fact, Basque traditions empower women, as they are the ones responsible to preserve their family and ancestors’ legacy. Consequently they were seated at the ground floor of the church. My next stop was the morning market hall. You know I always want to feel like a local, so I visited the food venue of fresh fish, meats, fruits and vegetables right from the farmers. I also passed by nearby monuments like the Maison Louis XIV (Lohobiague-Enea), where the king resided during his stay at Saint-Jean-de-Luz, the town hall, and the Maison de l’Enfante (Joanoenia). This maison is a venetian-style building which hosted both Queen Anne of Austira followed by the bride-to-be, the future queen of France, Maria Theresa. But I have to stay I also passed by every type of food store, from patisseries, boulangeries, and other types of savory stores, each presenting traditional Basque food like the infamous (and delicious) Basque cake and all sorts of local spicy meats. 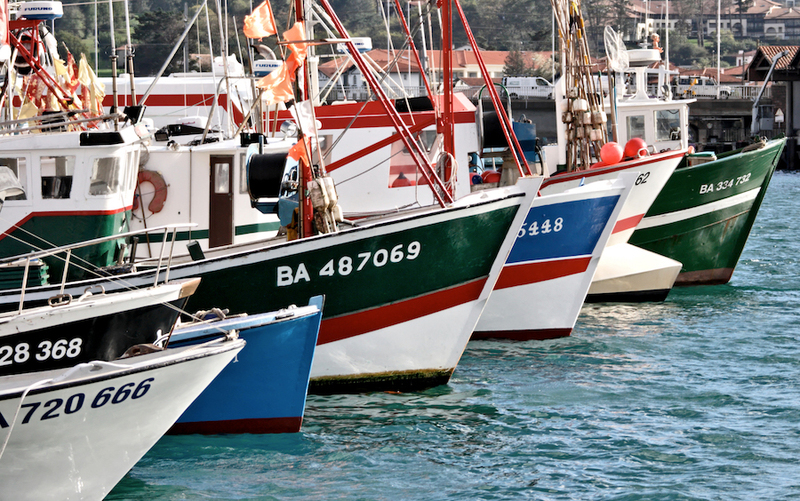 Besides gastronomy, Saint-Jean-de-Luz sells a wide range of local and handmade products including fine leather goods, textiles with traditional colorful patterns, and the very fashionable French espadrilles. Keep in mind that the origin of what is known as the French espadrilles is actually The Basque Country. So dedicate some time for shopping as well. My final stop with the guide was at the fishermen’s port, once known to host the first whalers in Europe since the 14th century, and the reason behind the development of a very prospers whaling industry. While walking around it, don’t miss out on two Art-Déco styled Phares (lighthouses) designed by André Pavlovsky. One is in red and one is in green. I was also there for the sea and plage of course! A very picturesque view of houses of the Belle Époque architecture welcomes you before reaching the Atlantic Ocean. I have to say, I was quite surprised when I saw people swimming early in the morning on a winter day… Apparently it’s part of the local customs! 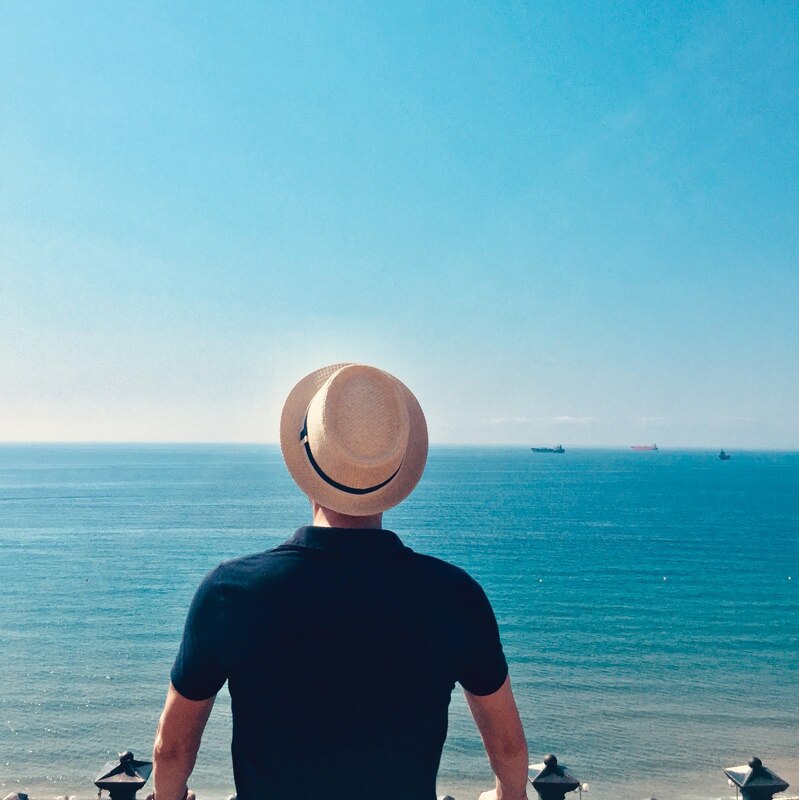 As I walked on the promenade, I kept my eyes on the Atlantic on my right, and the top of the Pyrénées mountains on my left. It is simply the best of both worlds! And if you are into water sports then you just happen to be in the right place. Surfing is the most practiced sports, so you can either hit the waves or take a beginner’s surfing course. You may also choose from other water activates like jet skiing, paddling, sailing or cruising along the Basque coast. Just across the bridge from Saint-Jean-de-Luz is the colorful city of Ciboure. Upon my arrival, I was drawn by a fortress: the Fort de Socoa. Once there I took a closer look at the powerful waves, and the naturally sea-made curvatures on its bay. Talk about a natural sculpture! Other nearby villages, accessible by car, include the village of Guéthary. I enjoyed visiting its isolated, calm and intact beaches, also known to be a surfer’s paradise. I then visited Ainhoa, simply because it is listed among the most beautiful villages of France, and to Ascain to watch the traditional Pelota (a set of sports played with a ball using a hand, a racket, a wooden bat or a basket against a wall). I truly think that the rare beauty of France lies in the fact that each part of the nation has a different vibe and is a melting pot of influences from its neighboring countries. 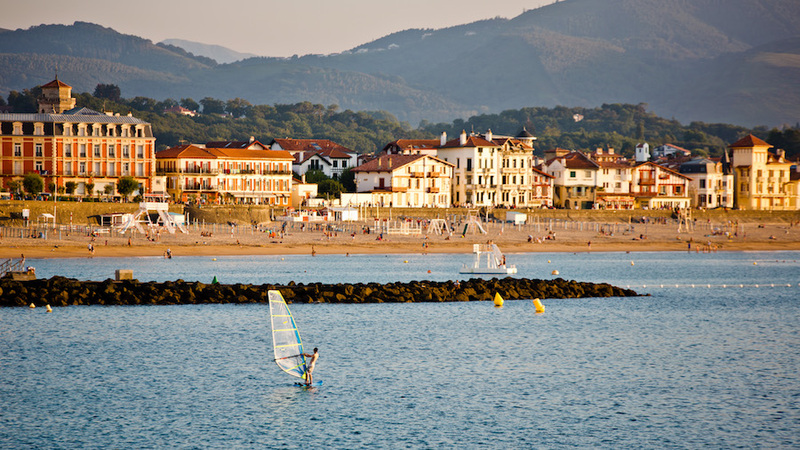 When it comes to Saint-Jean-de-Luz, its mild climate, exceptional scenery, and rich culture is what makes it special. It is a city where there will always be something for you, no matter what kind of traveler you are. 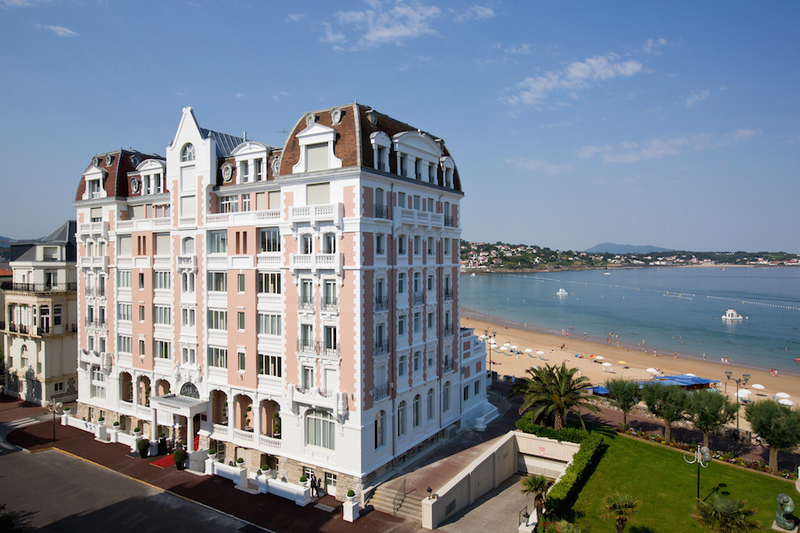 To organize your trip and stay up-to-date with the latest events, make sure to visit Saint-Jean-de-Luz’s tourist office here, and go ahead and spoil yourself by booking a room at the Luz Grand Hôtel here.